Spend your time patterning your local game population, not pulling your hair out over a complicated assembly manual. True to its name, the Quick-Set™ 225 only requires about 15 minutes of setup before it's fully operational and ready to bring game your way. 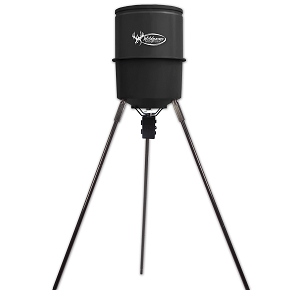 The 255 is a dependable entry-level poly barrel feeder that provides above-average results. It is about 37 pounds in total weight and holds up to 225 pounds of feed.